I shall first briefly discuss Einstein’s views on God and then I will discuss Einstein’s God letter. Einstein did not believe in an anthropomorphic concept of God but believed in a Spinozist conception of God. Spinoza believed that God exists and so did Einstein, but God according to Einstein and Spinoza is equivalent to the definition of nature. Nature reveals herself in the logical simplicity of the laws of science. I first explain Einstein’s views on God and then quote from Spinoza. Einstein’s general theory of relativity formulates the field equations in terms of partial differential equations. But to find a solution to these equations, and therefore to deduce results which can be compared with observations, we must integrate these equations. Einstein’s field equations are non-linear and finding exact solutions to these equations is a tedious and difficult procedure. But the logical chain from theory to observation consists mostly of this procedure of integrating differential equations. Here exactly lie the greatest technical difficulties. When Einstein’s assistants Leopold Infeld and Banesh Hoffmann had toiled for months over problems of this character in unified field theory Einstein used to remark: “God does not care about our mathematical difficulties; He integrates empirically”. What did Einstein mean? He believed that it was possible to reduce the laws of nature to simple principles. In special relativity, he reduced the laws of nature to two principles, the principle of relativity and the principle of the constancy of the velocity of light. In general relativity, we have the principle of equivalence and the generalized principle of relativity — the principle of general covariance. Unlike the technical difficulties in solving the field equations, the simplicity of these principles forms a criterion of the beauty of our theories and of nature, which we observe. This is a Spinozist conception of nature. Einstein often repeated with variations to his assistants the phrase: “God created the world”. He thus believed that God exists. Second, if God exists, what is God? Infeld explained that in this phrase, was Einstein’s peculiar religious feeling that laws of nature can be formulated simply and beautifully. When Einstein felt he had a new idea, he asked himself: “Could God have created the world in this way?”. God is therefore equivalent to the definition of nature because of the inner consistency and beauty, logical simplicity of the laws of nature, and infinity in the world he created. Infeld called Einstein’s approach to God, “the realist’s approach to God” and one could add to this, the deterministic approach to God, and this is also the meaning of “God does not play Dice”. “I believe in Spinoza’s God who reveals himself in the harmony of all that exists, but not in a God who concerns himself with the fate and actions of human beings”. Einstein did not believe in an anthropomorphic concept of God, i.e. the use of anthropomorphism in the bible, descriptions such as the wrath of God and God’s flaming fiery, God is angry, a fire burns within His nose against His people for their disobedience, etc. This is God who concerns himself with the fate and actions of human beings. According to Einstein, God created the world and afterward, God does not intervene in human affairs and the world. this can be, and is. proved by us: (1) from the infinite power of God, since in him there can be no cause by which he might have been induced to create one sooner or more than another; (2) from the simplicity of his will; (3) because he cannot omit to do what is good, … From all this it follows then: that of Nature all in all is predicted, and that consequently, Nature consists of infinite attributes, each of which is perfect in its kind. And this is just equivalent to the definition usually given of God. “No, I have faith in the universe, for it is rational. And I have faith in my purpose here on earth. I have faith in my intuition, the language of my conscience, but I have no faith in speculation about Heaven and Hell”. From: W. Hermann, Einstein and the Poet, 1983/Max Jammer, Einstein and Religion, Princeton, 1999, chapter 3. Now I would like to speak about Einstein’s God Letter. Einstein wrote the God Letter to Eric Gutkind in response to his book, Choose Life: The Biblical Call to Revolt. “What struck me was this: with regard to the factual attitude to life and to the human community we have a great deal in common. Your personal ideal with its striving for freedom from ego-oriented desires, for making life beautiful and noble, with an emphasis on the purely human element. This unites us as having an ‘unAmerican attitude’”. What did Einstein mean when he said an “unAmerican attitude”? He meant that both he and Gutkind opposed Joseph McCarthy and the House Un-American Activities Committee. Einstein criticized U.S hydrogen bomb plans and tests and arms race with the Soviet Union; he criticized the U.S policy and he advised people under investigation by the Un-American Activities Committee to refuse to cooperate with the committee. This was his “unAmerican attitude”. “The word God is for me nothing more than the expression and product of human weaknesses, the Bible a collection of honorable, but still primitive legends which are nevertheless pretty childish. No interpretation no matter how subtle can (for me) change this. These subtilized interpretations are highly manifold according to their nature and have almost nothing to do with the original text”. Einstein’s conception of God was based on firm belief in determinism: “God does not play dice”. He denied anthropomorphism in the notion of God; that is to say, making God into the form of a man: God exhibits human qualities such as beauty, wisdom, power, and sometimes human weaknesses such as hatred and uncontrollable anger. “The Judaistic elements with their ethical, monotheistic, anti-idolatrous radicalism are pushed into the background. Strangely enough, this church paganism has some features in common with naturalism, which means Assimilation the idolization of nature, nature as the absolute, all of it pagan. Only in contemporary science, in Einsteinian physics has this absolutism of nature been removed radically, even from the sciences”. Einstein objected to this statement because all monotheistic religions, Judaism, Islam, and Christianity have a strong anti-idolatry stance. Ironically, Jewish and Christian theologians tend to portray or deem pagan deities of ancient Greek mythologies and polytheistic religion as anthropomorphic. Einstein, however, believes that Judaism and in general monotheism is based on an anthropomorphic conception of God. Therefore, nothing makes Judaism unique. This latter point is explained towards the end of the letter, see further below. “You shall not make for yourself a carved image or any likeness of anything that is in heaven above, or that is in the earth beneath, or that is in the water under the earth”. According to Max Jammer in his book, Einstein and Religion, Einstein greatly respected Moses ben Maimon, commonly known as Maimonides, and also referred to by the acronym Rambam, the foremost Jewish philosopher of the Middle Ages. “…our knowledge [of God] consists in knowing that we are unable to comprehend Him”. People tend to give human characteristics to God and think that God relates to us in human terms. Thus, according to to the second commandment of the Decalogue, Einstein sees in the word God nothing more than the expression and product of human weaknesses. Einstein objected to the biblical account of the creation of the world, as reported in the first chapter of Genesis. In the beginning, God created the heavens and the earth. Now the earth was formless and empty… The Lord God made man from the dust of the earth, breathing into him the breath of life. However, Einstein also objected to Genesis in physics, i.e. to the big bang. “…had been held in suspicion by most astronomers, not the least by Einstein, if only for the reason that it was proposed by a Catholic priest and seconded by a devout Quaker [Eddington], hence highly suspect of concordism”. Actually, Einstein and Eddington both objected to the singularity in Schwarzschild’s solution, i.e. to black holes, and since Lemaître’s primeval atom big bang model had a singularity at time zero followed by rapid expansion, they also objected to this model. Indeed, Lemaître tried many times to convince Eddington of the big bang theory but Eddington remained firm in his objection to the big bang and to black holes. Einstein thought that the bible was a collection of honorable historical stories. However, since Einstein firmly objected to descriptions such as the wrath of God and God’s flaming fiery, when he is angry, a fire burns within his nose against his people for their disobedience, etc., Einstein considered these descriptions in the Bible as legends which are nevertheless pretty childish. “Can Judaism remain indifferent to the fact that modern man has to live in a world of machines and of ever-advancing science? But if this is so, why remain a Jew, why not simply be a scientist? What about Einstein and modern physics? Here arises the question as to whether science and technology are enough? Is there not something lacking in the scientific view of life? Perhaps the Jewish vision can redeem the grandeur of science and technology by integrating them with a meaningful life”. “Einsteinian physics is much nearer to truth than the pagan mythologies of nature, more scientific as we call it”. Einstein objected to the view that Jewish vision has anything to do with his physics and that his physics is much nearer to religious truth as if his theory is derived from concepts of ethics and religion or else, has deep religious and ethical meaning. “We have already pointed to the three outstanding challenges: Einstein’s extreme mathematization of nature, Freud’s unmasking of the psychological substructures, Marx’s unmasking of the superstructures, namely cultures, religions, philosophies, the arts and social orders. The entire superstructure has proved to be utterly vulnerable, and the substructure too is analytically exposed. These three challenges the Jew too will have to face”. “For thou art a holy people unto the LORD thy God: the LORD thy God hath chosen thee to be a special people unto himself, above all people that are upon the face of the earth”. “For me, the Jewish religion like all other religions is an incarnation of the most childish superstitions. And the Jewish people to whom I gladly belong and with whose mentality I have a deep affinity have no different quality for me than all other people. As far as my experience goes, they are also no better than other human groups, although they are protected from the worst cancers by a lack of power. Otherwise, I cannot see anything ‘chosen’ about them”. The Jewish people to whom I gladly belong and with whose mentality I have a deep affinity,… I 100% agree with the above statement of Einstein. “In general I find it painful that you [Gutkind] claim a privileged position and try to defend it by two walls of pride, an external one as a man and an internal one as a Jew. As a man you claim, so to speak, a dispensation from causality otherwise accepted, as a Jew the privilege of monotheism. But a limited causality is no longer a causality at all, as our wonderful Spinoza recognized with all incision, probably as the first one. And the animistic interpretations of the religions of nature are in principle not annulled by monopolization. With such walls we can only attain a certain self-deception, but our moral efforts are not furthered by them. On the contrary”. Einstein opposed to any kind of “walls” and privileged position —“walls of pride”, “the privilege of monotheism”, “monopolization” — because he was a pacifistic internationalist. “Ye are my witnesses, saith the Lord, and my servant whom I have chosen: that ye may know and believe me, and understand that I am he: before me there was no God formed, neither shall there be after me”. He condemns the use of magic, witchcraft, and divination. He shows that suffering is not the result of the spirits or the gods but His sovereign act of bringing people back to Himself. Einstein opposes to monopolization and he argues that religious monopoly cannot annul animistic interpretations of nature. On the other hand, Einstein believed in Baruch Spinoza’s nature religion: the natural world is an embodiment of divinity. The rarity of the autograph letter, the significance of the holograph letter and the market’s fluctuations. Today there is a booming market in Einstein’s letters and documents. Einstein inspires many people and his autograph letters and manuscripts are the world’s auction leaders in top prices. Age of the documents does not play any role. Indeed, when a certain auction house auctions off Einstein’s autographs, they fetch more than a million dollars but an autograph document from the middle ages is hardly worth $2000. In February 1938, Allan Devoe, an autograph dealer, published the article, “The Scrawls of the Great Go to Market” (Autographically Speaking) in The Rotarian. He discussed the characteristics of the autograph market and why are some letters sold for a high price and others for a low price. Not much has changed since then in the pricing method of autograph documents. Before I discuss the pricing of autograph documents, I would like to say a few words about evaluating the signatures and autograph letters and documents. There are individuals who fabricate documents. Howard C. Rile explains in his paper, “Identification of Signatures” that a careful scientific examination can reveal much of the fraudulent work. He gives several examples. For instance, two examples: an individual fabricated a wide range of documents supposedly prepared in the 1880s. Careful examination revealed much of his fraudulent work: while he did duplicate the components of the ink used in the time period, he needed to artificially dry the ink. In doing so, he created a pattern on the ink that, when examined microscopically, was found to be different than the ink lines that had dried normally over the years. Another document involving a supposed relationship between president John Kennedy and Marilyn Monroe was found to be bogus because the typewriter used was not commercially available until three years after the date on the documents in question. There are reasons for these price paradoxes and traceable causes for the fantastic fluctuations of the market. In part, of course, autograph prices are governed – like the prices in all other businesses – by laws of supply and demand. The catch is in the supply end. Every autograph dealer worthy of the name either has in his files or can pick up at the drop of a hat any required quantity of yellowing papers and parchments signed “Bonaparte” or “Nap” (the Emperor used the signatures quite indiscriminately). But he is a lucky dealer indeed who can find for his files a holograph letter by President Harding, and he is an affluent collector who can buy it. Why? As to rarity. Einstein penned many handwritten letters. He hardly saved any early letters but later, other people tended to save his, for obvious reasons. Thus, Einstein’s handwriting is not superlatively rare. So why do we pay so much for an Einstein autograph? Because of the significance of the autograph. On March 7, 2018, an Einstein letter written in 1298 on the theory of relativity fetched $100,000 at Jerusalem auction but the Einstein “God letter” fetched $3 million dollars. People seem to be especially interested in Einstein’s religious feelings and his approach to religious issues, which reveal his personality. A four-page holograph, i.e. a handwritten letter signed “Albert”, which Einstein wrote to his close friend Michele Besso in 1916 on gravitation, brought $125,000. In this letter, Einstein expresses his delight in his work, his relish for a new theory, his sense of elevation when grasping at fundamental truths — which he expresses as “getting closer to God”. Thus, when Einstein spoke about his general relativity and said he was getting closer to God it was not sold for a million dollars or two because the letter did not have the title “God Letter” and it, therefore, did not explicitly reveal the personality of Einstein. Two handwritten notes penned by Einstein have been sold at an auction for a combined $1.8 million — hundreds of times their pre-estimated sale value. “A calm and humble life will bring more happiness than the pursuit of success and the constant restlessness that comes with it”. “In October 1922, Albert Einstein took a trip to Japan to deliver a series of lectures. While traveling from Europe to Japan he was informed by telegram that he will be awarded the Nobel Prize of 1921. Einstein decided to continue his journey according to his original plan, and he was absent from the ceremony in Stockholm in December. The news of the Nobel Prize winner’s arrival in Japan spread quickly, and when he arrived he found himself being welcomed by thousands of people flocking to see him. He was impressed but also a little embarrassed by the publicity he received and while he was staying at the Imperial Hotel in Tokyo he tried to record his thoughts and feelings on paper. When a messenger came to his room to give him something, Einstein did not have a tip available, and he decided to make the most of his new exalted status and give the messenger two of his writings. When he gave him the articles he told the messenger to keep them, as their future value may be much higher than a standard tip”. (4) More age has absolutely nothing to do with the value of an autograph. They are inexpensive, not because they are unwanted or because they lack historical interest, but simply because the monks and the abbots of medieval times were great hands with the pen. … they have glutted the market”. Einstein’s autograph “God Letter” brought over three million dollars but a 14th Century Medieval Manuscript worth no more than $500. True, this one is perhaps a bit earlier than some of the examples listed above (and dates to the early part of the 14th century). However, at auction it would at most reasonably fall into the $400-500 range and perhaps a bit less as it is missing its original hanging seal. 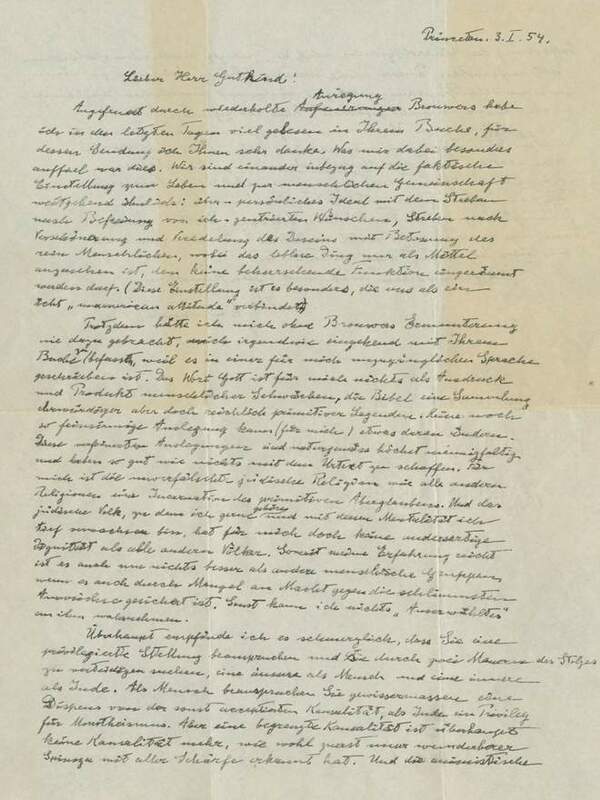 Einstein’s “God Letter” worth more than a document which “has escaped the ravages of time for 700 years”. This is a result of hero-worship. Today leaders in top prices are Hollywood actors’ material, autograph letters and manuscripts of scientists and celebrities. In 2013 Christie’s sold a copy of Newton’s Principia from 1687 for almost 3 million dollars. In 2017 Steve Jobs signature on a newspaper was sold for 50,000 dollars. In 2003 Christie’s auctioned off an autograph music manuscript signed by Mozart and got $318,000 dollars. Several months ago, Christie’s sold Darwin’s autograph manuscript for 112,500 dollars. Judy Garland’s Ruby Slippers are worth three million dollars. The leader in top prices is Leonardo da Vinci. In 1994 Leonardo’s Codex Hammer was sold for $30,802,500. Previous Previous post: Time Travel into the Past: How can a wormhole be transformed into a time machine?